Late and missing work is a topic that schools deal with on a daily basis and trying to find a balance between compassion and teaching personal responsibility can be difficult. I want to take a moment to list what Chadron Middle School is doing to provide our students with opportunities to turn in late and missing work for credit, while providing clear guidelines to help teach personal responsibility. If a student is absent from school they get two days for every day that they are gone. So, if a student misses school on Monday, the assignments from that day are due at the beginning of class on Thursday. If a student does not turn in an assignment, they are expected to go to Homework Recovery during the lunch break. The Homework Recovery list is announced at 10:30 every day and students can come to the office to see what they are missing. Homework Recovery students get their lunch and report to the Homework Recovery room where a certified teacher is on duty to help them with their assignment(s). When all missing work has been turned in, students are free to leave. Students have one week to get all of their missing work turned in (Thursday to Thursday). We chose Thursday as the final day to turn in missing work for credit because students are not assigned homework on Wednesdays, which gives them the opportunity to complete their missing work that night. The CMS After-School Program (ASP) is open to all CMS students from 3:18-5:30 on Monday-Thursday. The ASP has tutors available in the library and students are welcomed to come in and work in the library and/or the computer lab. CMS teachers are available before school between 7:40 and 8:00 and after school until 3:40. Students are encouraged to talk to their teachers to schedule times to retake tests. If you have any questions about our late/missing work policies, please let me know. As always, thank you for all that you do to help your children be successful in school. National History Day projects were due today and the CMS library has turned into an archive of historical events and people. This year's theme is Leadership & Legacy in History and students could choose any historical event or figure that related to the theme. There some very impressive displays in the library and we are looking forward to seeing student websites and documentaries as well. Well done kids! Chadron Public Schools will dismiss students at 12:00 on Friday, January 23rd for the Chadron Invite Wrestling Tournament. Below is the bell schedule that will be used at CMS. 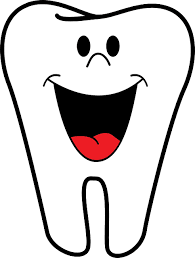 The Chadron Public Schools after school programs (Just for Kids, CIA and CMS ASP) are hosting a two-week dental wellness program to provide dental screening, fluoride, and sealants during the last two weeks of February (February 7th - March 1st). The services will be offered to all K-8 grade students, with the care being delivered at the after school program sites during the after school hours. Community Action Partnership of Western Nebraska and the University of Nebraska Medial Center College of Dentistry are partnering with Chadron Public Schools to make these services available. Parent letters and permission forms will be available for students and families by February 5th. February 5th. 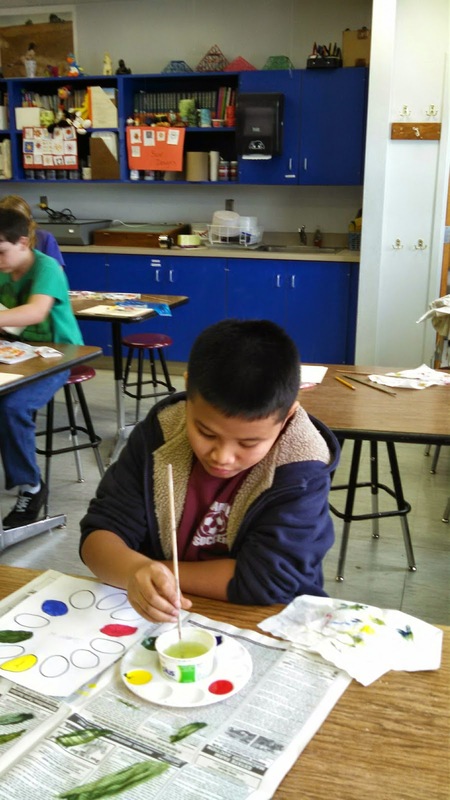 6th grade art students enjoy learning color theory and painting color wheels as the quarter gets underway in Mrs. Bird's class. Bee season is nearly underway and Chadron Middle School has set its "Bee" schedule for the year. 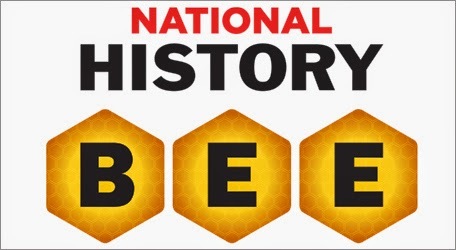 We will kick off bee season with the National History Bee on Tuesday, January 13th at 3:30 in the CMS library. 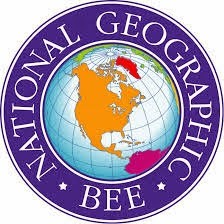 On January 21st, CMS students will compete in the National Geography Bee at 3:30 in the CMS library. 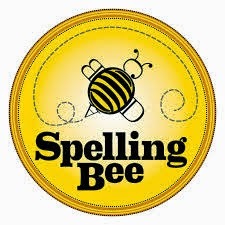 The CMS Speling Bee will take place on February 5th at 3:30 in the CMS library and the Dawes County Spelling Bee will be on February 19th at 2:00 at the Dawes County Court House. Good luck to all of the students that will be participating!